It's like the old anime, except there's this strange color filter that wasn't in the last season. Also, Mai's hair is in a bun. I miss the parts in the last season that mentioned bits about who the author is like. At the end of the show, there's Inuko. Crunchyroll doesn't even have Inuko. Who is she? Why should I care about this girl who doesn't even go to the same high school? I don't understand any of this. Really, I'm only reviewing this with four stars because the other guy reviewed it with one star. Ther'es no downsides to watching this. It's only a few minutes. It's like a microtransation of your time. After having watched the first season, you should know exactly what you're getting into with this; however, if you haven't and are just picking it up, expect at least a good laugh every episode. It's surreal humor that throws everything at the wall, hoping something sticks for a laugh. Luckily, (in my humble opinion) often times something does, and you're rewarded with a solid chuckle at the very least. Is it a work of genius? No. Is it trying to be? Not even close. Switch off your brain and let it assist you in defraging your mind. It's a great, funny, and chaotic exercise in humor. Unlike the first, this one's comedy is far more absurd. It's not so much about the punchline or the absurdity being the joke, as this season forsakes any grounding in reason for plain insanity. I didn't find it quite as funny. Unlike the first season, the artwork is a step up from the last. It's fine, but some of the comedy of the first is how the artwork is in tune with the nature of the show. That said, I also could be getting some fatigue from consuming the same art-style across 2 shows (even if both are incredibly short), so I don't think it's all that big of a deal. Again, no issues here. Nothing takes place that warrants incredible VA work, neither does anything demand an excellent OST. It's very basic, which is all I ask for. The first had some sense of self-awareness with the humor about certain characters doing certain things, but this season seems to ignore those for the absurdity. I found this pretty disappointing, but again, not really a big deal. This isn't a serious show so I'm not expecting anything serious. I enjoyed it, but not as much as the first season. Thankfully, this isn't all that long so I'm not wasting my time by finishing it out. I chuckled once or twice, so that's alright. If you like this review, please press 'Helpful' on MyAnimeList. Thanks! If you liked season one, you are watching this already...if you didn't like season one, you probably won't read this review. I got to this series late, saaaadly, and just got caught up in a few hours. I love the clichés, puns, slapstick and gore in this school-lifey short adaptation of the hilarious yonkoma manga. I love the seiyuus even more - Ootsubo Yuka ("Toshino Kyokou! "), Uchida Aya (Kotori-chan, sigh...), Uchida Maaya ("Rik-ka! "), and less-frequently Kayano Ai - and the short format gives them a chance to really show off their talents. The humour is nuanced and rapid-fire, so I am glad the subs are pretty accurate - that can be hard to do with some of the more outré references. Any way, give it a go - you can waste four minutes doing a lot of other things and not have nearly as much fun. This show makes me laugh. That is the important part. The story is messed up, but fun to watch. From the first season, this has been funny, but the second season is waaay better. It has more comedy, messed up but funny story, and really good anime to watch with your friends. But I'm glad that it was. As fun and bizarre as the first season. Not much else to say other than that really. I've seen enough of this. 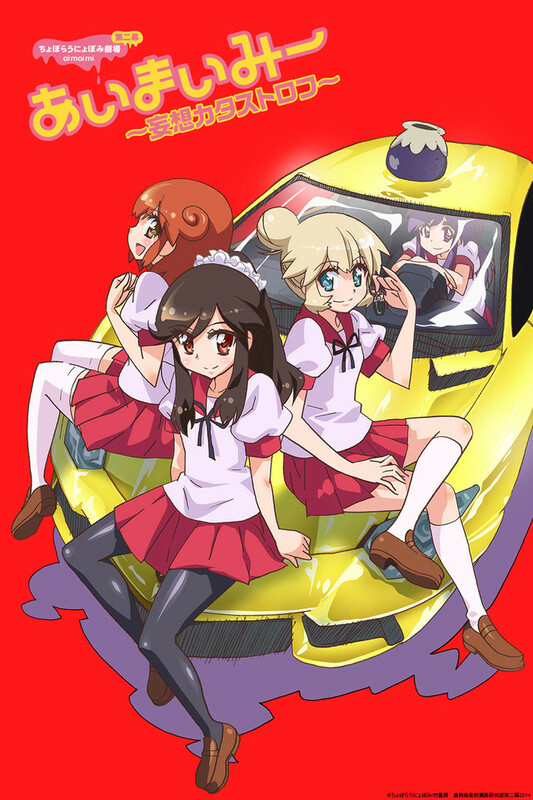 I tried to enjoy this and see if it was any better then the first season, but i caught up with it and realized that unless you really like random comedy and understand the majority of problems that a manga artist goes through then i don't think you can truly appreciate this anime, I'm sure there are plenty of people who disagree with this. However i stand by my opinion, giving this anime a 1/10.